The San Francisco–based artist Lucas Foglia just published Human Nature (Nazraeli Press, 2017), his third book of photographs. An exhibition of this work is currently on view at Fredericks & Freiser in New York through January 13, 2018. The same body of work will travel to Foam Fotografiemuseum in Amsterdam from February 2 to April 15, 2018 and then to the Museum of Contemporary Photography in Chicago from July 19 to September 20, 2018. Here, Foglia discusses the labor and thought that went into creating the photographs in this series and the idea of a “relationship” that underpins them. MY FIRST TWO BOOKS featured photographs of specific regions in the United States. A Natural Order focused on people who had left cities and suburbs to live off the grid in Appalachia. Frontcountry focused on the interactions of the mining and cattle industries in the American West and how people use land that is famous for being wild. Human Nature is a series of interconnected stories from around the world about people, nature, and the science of our relationship with wilderness. It was challenging to sequence the photographs in a way that would feel coherent and relatable without being didactic. I made about a thousand small prints and spent a year arranging them on the wall of my kitchen. The final layout begins in cities and then moves toward wilderness (through forests, farms, deserts, ice fields, and oceans). I linked the photographs by content, color, and composition. Each photograph is anchored in a specific place, with a shared story. 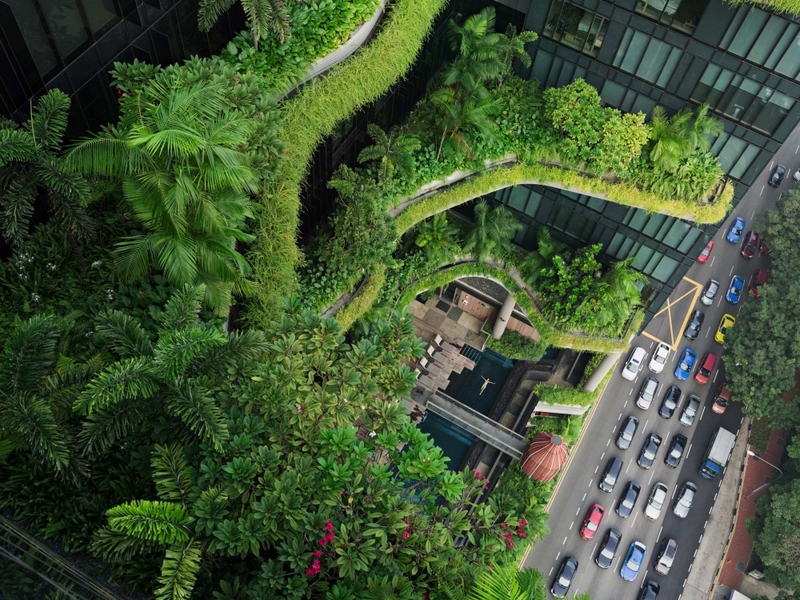 For example, in my photograph of Esme swimming in the pool of a luxury hotel in Singapore, she is surrounded by balcony gardens as rush-hour traffic forms on the street below her. In my photograph of Troy gently holding a small bird, he crouches by the barbed-wire fence of the Rikers Island prison complex in New York. The hotel and the prison garden are dramatically different places, but both of their designs suggest that nature is curative and therapeutic. Photographers normally portray nature as either pure or spoiled—a pristine wilderness or a disaster. The critique inherent in pictures of spoiled landscapes is clear, but pictures of “pure” nature can also be insidious. As soon as nature ceases to appear pristine, we think of it as broken and unfixable. I want to describe a relationship with nature that is more complicated and more intimate. “Wild” nature is an oasis—and therefore, as the metaphor suggests, also a mirage. Many scientists argue that there is no place on earth devoid of human impact. I suggest that we internalize that fact and start seeing ourselves in a relationship with nature. As with relationships among humans, if something goes awry, we need to talk it through and act. Arguments are a way to become closer through dialogue. If we ignore a problem or expect an impossible ideal, we will likely end up isolated—alone. Most of my photographs point to positive examples. We need activism, optimism, and an appreciation of complex beauty.